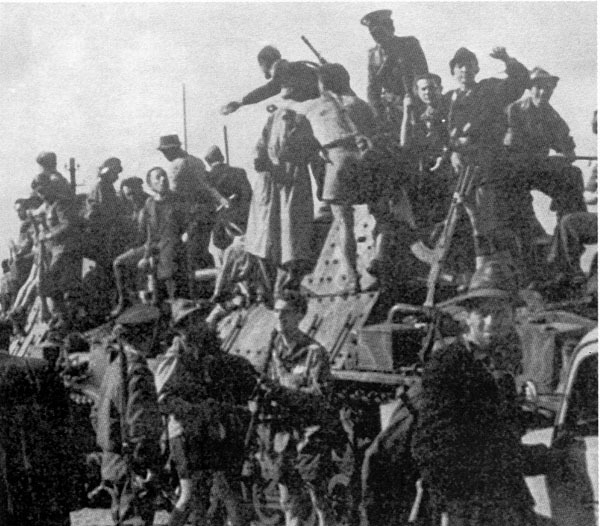 1945, 3 May, Ospedaletto. P 40 with Turm-Nummer 111 of the Karstjäger Pz.Kp. destroyed in on the State road "Pontebbana". In the background the mount San Simeone; between the road and the mountain flows the Tagliamento river. 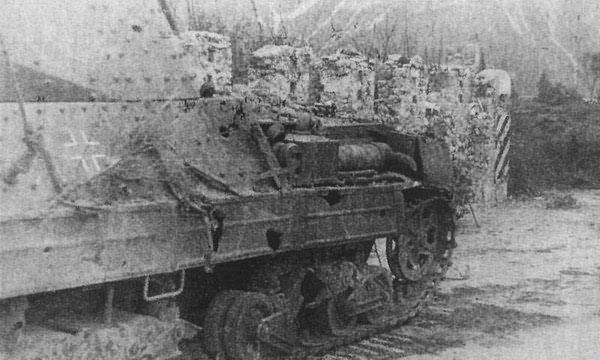 A side view of the same tank showing the turret number 111 and at least six penetration holes of the Sherman rounds; as a consequence of the shooting the tank caught fire. 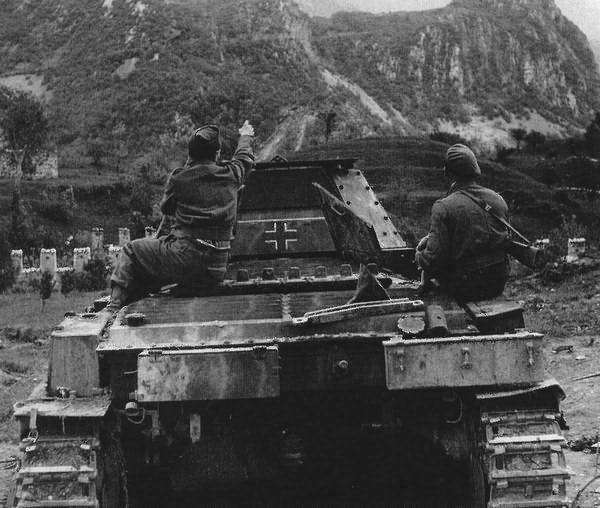 1945, 4 May, Ospedaletto (near Gemona, north of Udine). 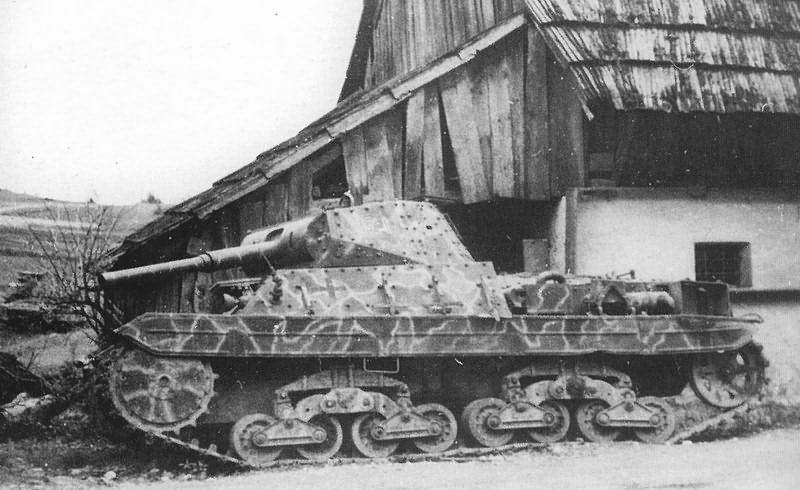 One of the two P 40 of the Karstjäger Pz.Kp. destroyed by Sherman tanks of the 1st Derbyshire Yeomanry on 3rd May. 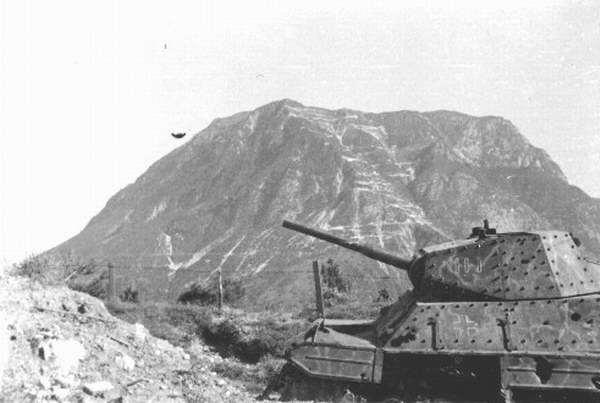 The British soldier indicates the place from where the Sherman tanks, having climbed on the mountain, have shot. 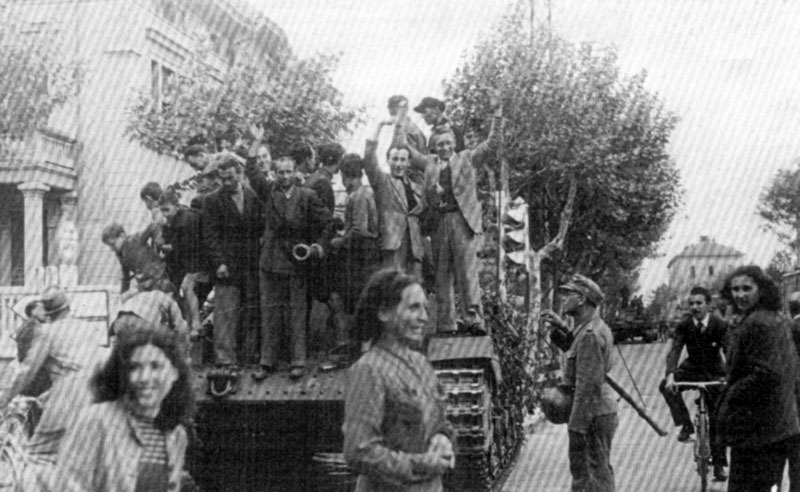 1945, 4 May, Ospedaletto . 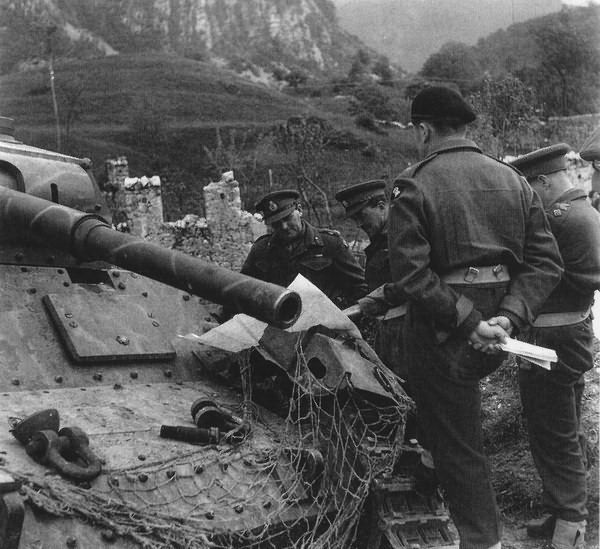 The other P 40, on the opposite side of the road, used by Major General Murray (commander of the British 6th Armoured Division), Brigadier Adrian Gore (commander of the 61st Rifle Brigade) and other officers of the division for reading a map. 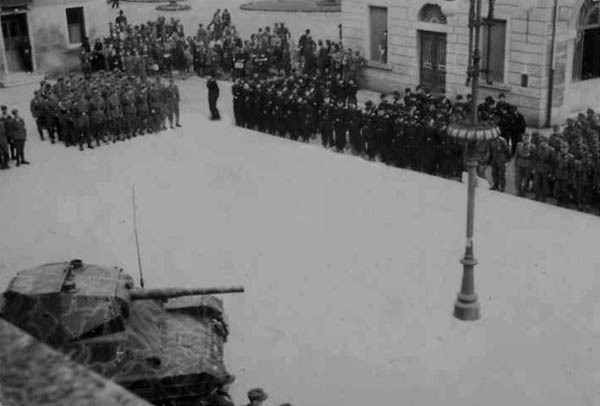 1945, 8-10 May, Hermagor, Austria . 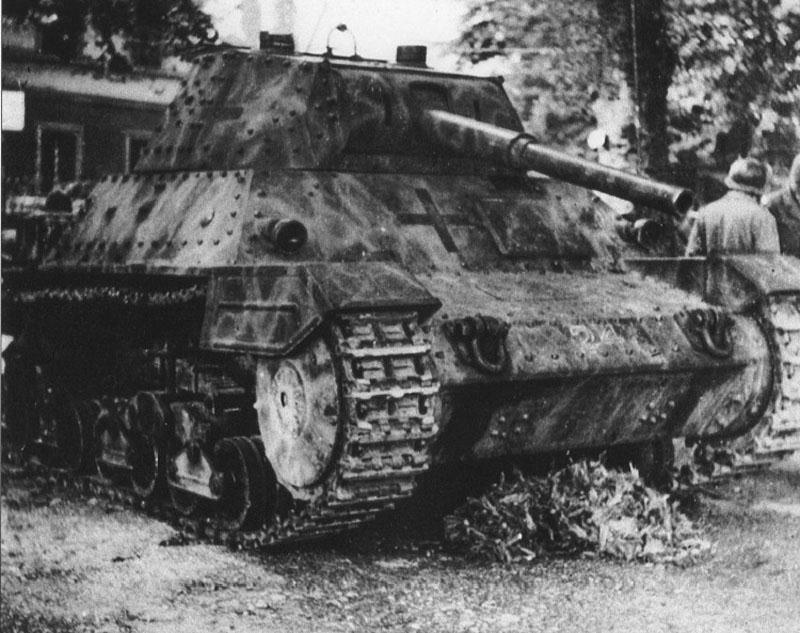 А Р 40 of the Karstjäger Pz.Kp. abandoned. 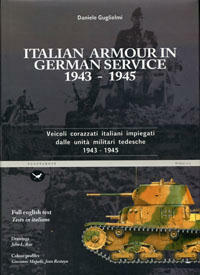 The Italian-style camouflage scheme, the Balkenkreuz and the turret number 121, probably painted in red or black with a white outline, can be clearly seen. 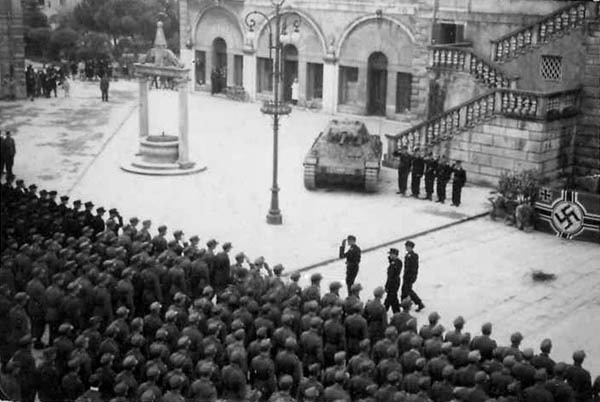 Between December 1944 and April 1945, Lonigo. Polizei-Panzer-Kp.10 received 15 P40 from Panzer-Ausbildung Süd. 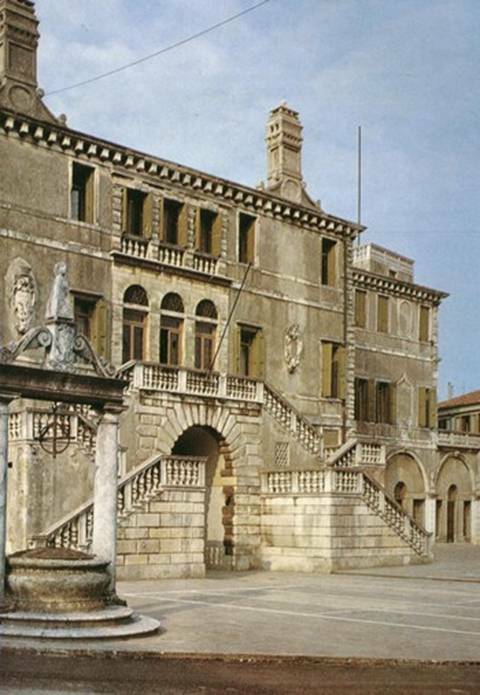 Photos have been taken on Piazza Garibaldi on front of Palazzo Pisani. Carro Armato P40 from 15 Pol.Pz.Ko. 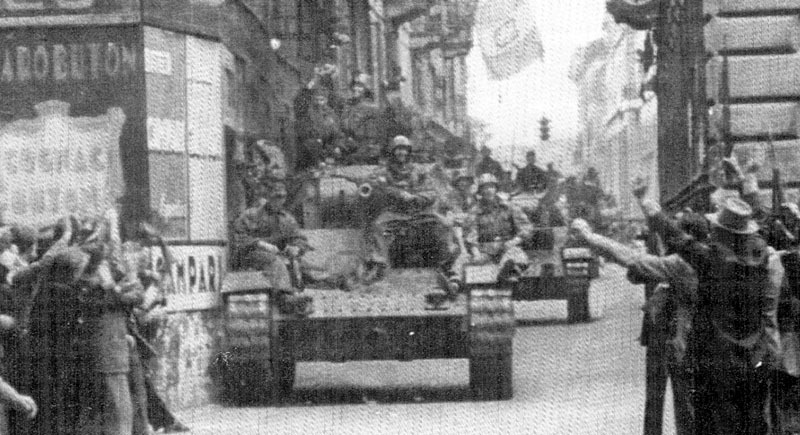 in the city centre of Novara after their surrender to partisans.